God is gone up with a merry shout. Written on April 29, 2014 for Dr. Carl MaultsBy and the St. Richard’s Schola of St. Richard’s Episcopal Church in Winter Park, Florida, this piece in Baroque style is written for two-part choir. It could be done by women alone, a mixed adult choir, or even a children’s choir. The harmonic language is simple with very few accidentals. The accompaniment is a simple three-part texture that could be played on organ or piano. Written on April 16, 2014 for Chris Barletta and the Women’s Choir of Gateway High School in Kissimmee, Florida, with an expected first performance in May 2014. The students selected a poem by Emily Dickinson as the text that they wanted me to set for them. The Chariot begins “Because I Could Not Stop for Death” and is a somber piece that suggested a chromatic language to me. While there is four-part divisi, the piece remains homophonic and there are many passages in only two parts. The choir is supported by the piano with a brief unaccompanied passage. A video of the first performance can be seen here. As you may remember, I registered with ASCAP just a few months ago. In order to do so, I needed to choose a name for my publishing company. After exploring a few possibilities (some of which had already been taken), I settled upon Audubon Park Music. The neighborhood where I live in Orlando is called Audubon Park and the working title for my psalter has been the Audubon Park Psalter, so it made sense to me to go ahead and make something like that the name of my publishing company as well. What’s one of the first things you need when starting up a business? Nowadays, that would be a website and business cards, of course! The website – audubonparkmusic.com – I set up the day I chose the name using a simple WordPress template, but I didn’t want to print simple plain business cards. Every good business has some sort of identifiable mark or logo that is instantly recognizable. Take McDonalds, Nike, or AT&T for example. I wanted a nice clean logo for my company, so I turned to 99designs.com. http://99designs.com/logo-design/vote-nxe1j0. I expect to wrap this up quickly, so please vote in the next 24 hours to have your opinion count. While evaluating birds, I also received a request for an arrangement of HOLY ANTHEM for organ and brass quartet. I hope to have the Finale performance file of it uploaded today here if you’d like to give it a listen. My next composition task is to set a poem by Emily Dickinson for Gateway High School. The premier is scheduled for just about a month from now, so if the girls are going to have time to learn it, I need to get them a score soon! In addition to looking for singing birds, I’m also looking for singing people. This summer (preferable sooner rather than later), I’d like to make a recording of some of my compositions to be released as an album. If you are in the Orlando area and would be interested in being part of this recording group, please let me know so that I can begin to figure out rehearsal dates and locations. 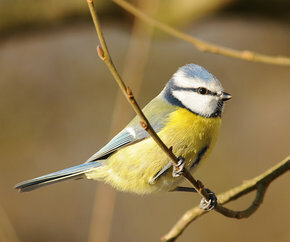 Hoping the birds are singing for you! A simple hymn accompaniment arrangement for organ and brass quartet commissioned by Mary Gant in 2014 for St. Paul Catholic Church in Tampa, Florida. The introduction is a full verse of the hymn and the organ part is basically the standard hymn harmonization. 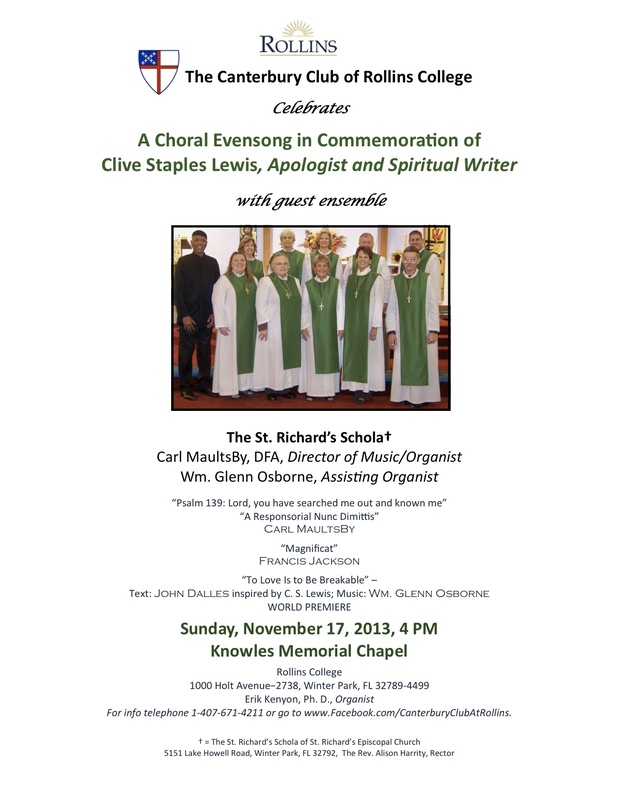 At the invitation of the Canterbury Club of Rollins College, The St. Richard’s Schola under the direction of Dr. Carl MaultsBy will sing for Evensong in commemoration of Clive Staples Lewis on November 17, 2013 at Knowles Chapel on the campus of Rollins College. 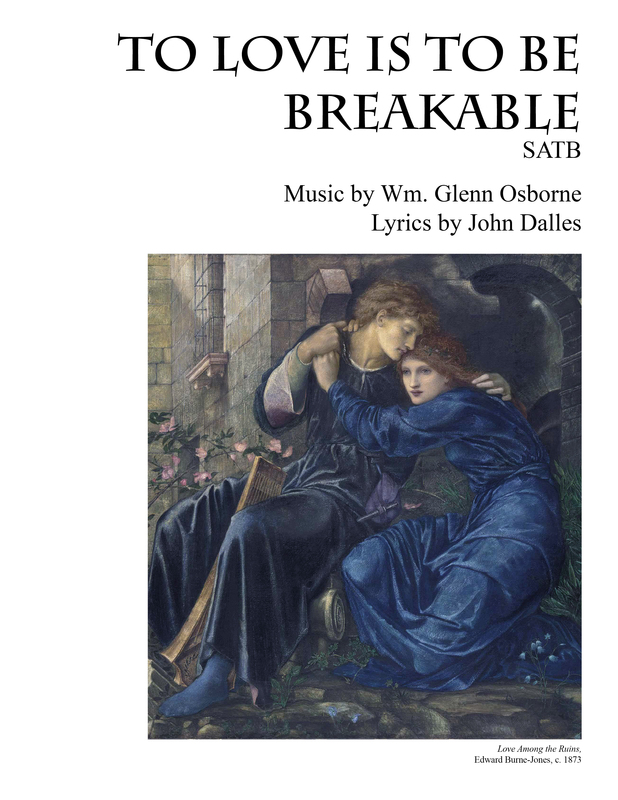 Included during the service will be the world premiere of “To Love Is to Be Breakable” by Wm. Glenn Osborne with text by John Dalles. Composed at the request of Dr. Carl MaultsBy, Director of Music/Organist at St. Richard’s Episcopal Church in Winter Park for a service of Evensong in commemoration of C.S. Lewis at Knowles Chapel on the campus of Rollins College. The text is a paraphrase of C.S. Lewis by John Dalles. While the piece is written in an advanced tonal language dividing into SATB, most of the composition is in unison or two-part. The audio below was generated by the Finale music notation program so does not reflect the registrations indicated for the organ. 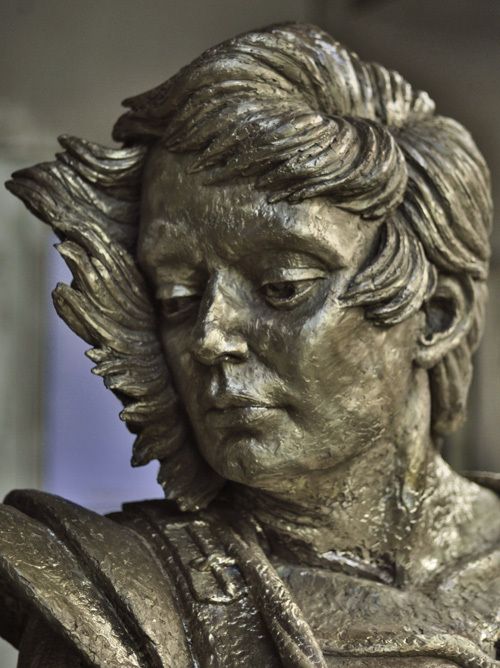 As part of the festivities to dedicate the new bronze statue of St. Michael at the Basilica of the National Shrine of Mary, Queen of the Universe, I have been asked to compose a short brass fanfare arrangement and setting of the hymn tune “National Hymn” that will be used for the entrance banner procession. As this is a last minute request, I’m delighted that the project is small in scope. Audio of the piece is now available here. On Sunday, September 29, a new statue of St. Michael will be dedicated at the Basilica of the National Shrine of Mary, Queen of the Universe. Discovering that there would be an additional procession of banners, music director Bill Picher asked if I would make a short fanfare arrangement of the tune “National Hymn’ to provide music for the extra procession. With only a few days to complete the project, I got to work as quick as I could. Dr. Jennifer Pascual asked me to make the orchestral arrangements of the Alleluias for the Papal Masses in New York city in 2008. The Mass at St. Patrick’s Cathedral would use the Alleluia refrain from O Filii et Filiae. The Mass at Yankee Stadium used the refrain from VICTORY. Even though the melodic material was given, I knew I would have great players in the orchestra and a top-notch choir, so I had great fun making these arrangements. CatholicTV still has the Mass from St. Patrick’s available here and the Mass at Yankee Stadium here. At Yankee Stadium, the Alleluia starts at 100 minutes into (about half-way through) the coverage on CatholicTV.